Located in a beautiful oceanside community, Parksville homes for sale attract buyers searching for a high quality of life in a spectacular natural environment. Surrounded by parkland, beaches, mountains, rivers, trails, and lakes, the town is a natural oasis, with an abundance of outdoor recreation opportunities all year-round. With 11,000 residents, Parksville is a relatively small city, made up of active retirees and families who are looking to live in a relaxed and friendly community. The city has a peaceful, laid-back atmosphere, and property types in the area vary from waterfront properties and rural acreages, to residences in town, and master-planned communities. Keep reading to learn more about Parksville's fantastic natural spaces, or explore Parksville homes for sale below. Find out about new Parksville real estate listings first, with the help of Karen Ayou! Receive Instant Email Alerts the moment new homes matching your criteria become available on the market. Parksville homes for sale are ideally located, offering easy accessibility to city amenities, a wide array of outdoor spaces, and nearby attractions and activities. Parksville is only 37 kilometres north of Nanaimo, and with two BC Ferry terminals so close by, the mainland is just a boat ride away. Property types in town include beachfront condos, single-family homes, well-planned townhouse communities, and more rural acreage properties. Parksville has a wonderful selection of homes just minutes from the beaches, as well as new, upscale developments and mature homes that sit on large lots, surrounded by towering trees. The city is home to the beautiful Rathtrevor Beach Provincial Park, a big draw for both residents and tourists. The park features an expansive five kilometre beach, a shady wooded area with old growth trees, a trail that winds along the oceanfront, picnic spots, and a popular campground. At low-tide, visitors can walk almost a kilometre out from the shoreline, and families and children can be found building sand castles and splashing in the water. Another local and family favourite is the Parksville Community Park, home to Parksville Beach, a waterfront boardwalk, and an impressive children's playground and water park. At the Parksville Beach Festival in July and August, visitors marvel at the stunning sand sculptures, built by artists for the area's famous sand sculpting competition. In addition to amazing parks, trails, and outdoor spaces, Parksville also boasts a number of great amenities including local shops and a diverse mix of restaurants. Parksville and the surrounding area are dotted with galleries and studios featuring the works of local artists, and for gourmet grocery items, charming boutiques, and goats on a roof, the quaint Coombs Country Market is only minutes away. 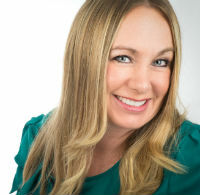 Let Karen Ayou connect you to the best in Parksville real estate! Call 1-877-304-7363 or message Karen online to get started.